— Chinese Foreign Minister Wang Yi’s comment in New Delhi in June, 2014. — PM Indira Gandhi emphasizing indispensability of mutual reciprocity in India’s bilateral diplomacy with nations across globe. History will always be cruel to those who refuse to learn from history, as George Santayana said. But this is what has been practiced by the successive ruling dispensations in New Delhi vis-à-vis dealing with the Communist regime of Beijing. From the time of signing the futile Panchsheel Agreement with China’s Premier Zhou en Lai in 1954 and even after Beijing’s infamous 1962 perfidy as well as uncountable numbers of ‘pin-pricking’ border incursions questioning the very sovereignty of India over its own Arunachal Pradesh (AP) and Pak Occupied Jammu and Kashmir (POJK), India still takes ‘pride’ (in spite of daily humiliation!) over its great stupidity (or timidity?) called ‘unequivocal commitment’ to “One China” Policy. Mutual reciprocity with mutual benefits, we are often taught by the mandarins of the South Block, as ‘key principles’ in running great diplomacy with any nation across the globe. Agreed. But then why these two ‘key principles’ have remained elusive vis-à-vis India’s China policy? Well, now just forget about ‘mutual benefits’ for a while and let’s all of Indian citizens ask this simple question to the ‘sagacious’ ‘foresighted’ foreign policy makers in South Block first, where is China’s ‘mutual reciprocity’ as regard to India’s six decade long rock solid commitment to ‘One China’ policy? What India is getting in return from Communist China is not united ‘One India’ policy but a balkanized version of ‘Many India’ policy, insulting India all most on daily basis by repeated border incursions in AP and POJK as well as issuing ‘stapled visas’ to the Indian resident citizens of both AP and POJK. While China is engaged in many infrastructure development projects in POJK, disregarding India’s strong objections to it, it has refused to recognize India’s AP whom it calls as Southern Tibet and has been shown as Chinese province in official maps issued by Beijing. While China is illegally occupying India’s Aksai Chin in India’s Jammu and Kashmir, it has also taken possession of territories in the northern Karakoram Range with help from Pakistan since 1963 and now started building a highway linking its Gwadar port in Pakistan with restive Xinjiang. Prior to 2003, China also questioned India’s sovereignty over Sikkim by colouring it as a ‘separate nation’ in its official maps which China only agreed to give up after extracting a written commitment from India recognizing its forcibly occupied Tibet Autonomous Region (TAR) as ‘integral part’ of People’s Republic of China (PRC). While India failed to extract a quid pro quo ‘One India’ written commitment from China recognizing AP and POJK as ‘integral parts’ of India, New Delhi successfully blessed China’s wish instantly, then and there. Was it a sagacious decision sans mutual reciprocity or virtual surrender to Beijing scripted by ‘foresighted’ South Blocker mandarins of New Delhi? There is no denying fact that ‘mutual disagreements’ between India and China exists regarding border demarcations in the North, West and Eastern sector along the international border. 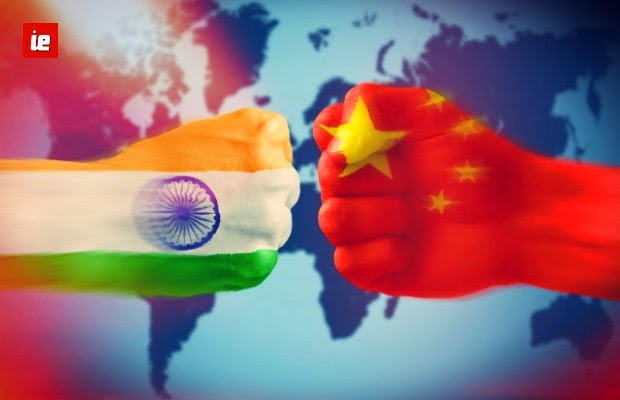 But in spite of best efforts by New Delhi over thirty rounds of talks since 1981 till date to amicably settle this protracted issue has been tactically delayed or prevented by Beijing showing its unwillingness to expedite resolving the ‘key problematic issue area’ in India-China bilateral relations. Ironically, China which borders the larges number of countries along its international border, has resolved demarcating land border issue with all of its neighbours, except India. Interestingly, China which fought bloody border skirmishes with erstwhile Soviet Russia over contested Sino-Soviet border, has also resolved it with Russia in recent years. Then, why this ‘time is not ripe’ (as said by late Deng Xiaoping to visiting Indian PM Rajiv Gandhi in 1988) delaying policy tactics vis-à-vis border settlement issue, ONLY, with India? Why? Democratic India must understand this hard fact after sweating for years in its futile bid to resolve the perennial Sino-Indian border demarcation issue that Communist China will never ever agree to settle this main bone of contention in its bilateral ties with India, because it wants to use this as ‘Trump Card’ in waging ‘psychological warfare’ (border incursions, issuing anti-India statements, helping Pak’s terror against India etc) against India sabotaging its rise as great power rivaling China in Asia and in the world. China knows well that India is the last major continental power in Asia capable of containing the great Chinese ‘Middle Kingdom’ dream of becoming numero uno great power. But unlike Communist China, being a practioner of Vasudhaiva Kutumbakam Hindu philosophy of eternal world peace, always reiterated that Asia, this world is big enough to accommodate two rising great powers viz India and China co-existing side by side. So, can we decipher this ‘Chinese Checker’ game, now? Gotcha! That’s the only reason why Beijing always tries to ‘de-link’ this protracted border settlement issue from its overall bilateral ties with New Delhi, while always tries to focus on enhancing trade further just for reaping unilateral benefits only for China. 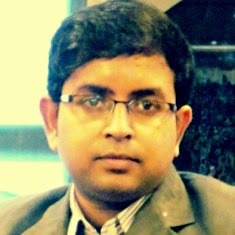 Today, Beijing would say to New Delhi – let’s forget the ‘complex’ ‘unproductive’ border issue, it can be settled later but now let’s focus and thus build ‘bilateral mutual trusts’ via boosting trade, pushing Track 2 diplomacy, issuing mutual panegyrics trumpeting ‘great civilizational Indo-China ties’ (say Hindi Chini Bhai Bhai, once more please!) etc etc. While, on the contrary, the real hard fact on ground is that until the ‘border demarcation issue’ is settled to the agreed mutual satisfaction of both India and China, only mutual distrusts will rise and it will remain eternally engraved in Sino-Indian ties in foreseeable future. How long can India-China bilateral ties will be sustained alone by economics of interdependence only while, while letting bitter politics of un-demarcated border face-offs to continue? Hence, border settlement, border incursions issue, issue of stapled visas, China’s support to insurgency in India, China’s support to Pak sponsored cross-border terrorism against India etc these ‘core issues’ must take the centre-stage of India’s ongoing China diplomacy and not just peripheral issues of trade, Track 2 diplomacy etc only which are important but the ‘core issues’ are indispensable and can never be bartered away. Will Communist China relent? Most unlikely. Therefore, if visiting Chinese Foreign Minister Wang Yi insists on issuing ‘stapled visas’ to residents of AP and POJK as ‘good will gestures’ to the residents of the two states, then New Delhi must also reciprocate this ‘good will gesture’ to the residents of Tibet, Macau, Hong Kong and Xinjiang too plus establishing full diplomatic ties with Taiwan, solely guided by diplomatic ‘thumb-rule’ of mutual reciprocity! If Communist China can continue with pursuing its no “One India” policy unapologetically with an assertive overtone, then why Democratic India must alone should carry the past diplomatic baggage of “One China” policy? Hence, its time New Delhi must revoke this futile “One China” policy till Beijing too reciprocates with “One India” policy.